Mr. Ibsen has been working with gymnastics for more than 20 years. 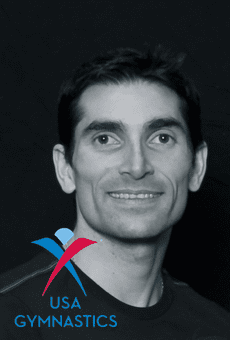 Familiar with boys, girls, recreational, preschool and aerobic gymnastics programs His work is based on gymnasts of all ability levels and ages. His specialties include boys gymnastics, tumbling, recreational gymnastics, preschool gymnastics and cross-training for other sports. All his private lessons begin with a warm up to get muscles and joint ready for larger movements. We then move on the specific event and/or skill training, all customized around what the gymnast has requested and what he/she would like to develop further. All athletes should feel that they have had a worthwhile experience that has improved their gymnastics/skills!